I want all y’all to know I’m here for you. I truly am. It’s been almost six months since we first met Bachelorette Rachel when ABC posted Bachelor Nick’s line-up of women. That’s when we learned an attractive lawyer named Rachel was ready to ditch the esquire in lieu of a M.R.S. degree. She wanted a guy who loves ‘90s country music and Justin Bieber. Clearly she didn’t find these specific qualifications in Nick. I also find it unlikely that the ABC recruiters, who scour the country coast-to-coast (and by that, I mean Los Angeles, Florida, and Texas), will fit that bill either. But I have high hopes. Rachel’s suitors, although lacking in many areas of maturity and decorum, seem to be somewhat viable contestants. I’ll go out on a limb and predict that a handful are not there for the right reasons (right reasons), but I am hopeful that our girl as already found true love. When collecting tidbits from Rachel’s journey to find love with Nick, I was surprised to discover how little I wrote about a girl I really liked. I THINK THIS IS HUGE. Rachel wasn’t a camera hog. She didn’t drum up drama. She played the game, made friends with the girls, genuinely liked the bachelor, and slowly wiggled her way into our hearts, without even trying, by being NORMAL. This season is going to be…so…good. Rachel comes from a big family. Nick comes from a big family. She knows where Wisconsin is located. She has quite the slit on her red dress and stands out in a big way to our bachelor. Rachel is definitely on his radar. The Olympians pick Rachel, Alexis, and Astrid as the finalists. They have to run in a 100-meter-dash, grab a big fake diamond ring, and rush it over to Nick who will be waiting for them in a hot tub in the visitor’s end zone. Rachel smokes the other girls, but fumbles the ring in the last seconds. She falls back to step on the ring (smashing it to bits) before Astrid, who is in third place, can grab it. Fortunately for Astrid, the fake diamond takes a good bounce and she snatches it up. She trots to the hot tub, takes off her shoes, and hops in fully clothed in her Fabletics. Who knew they doubled as sportswear AND swimwear? Kate Hudson is a genius. If I omitted everything that I didn’t like from last night’s episode, we would be left with a paragraph on Rachel’s adorable personality, a paragraph on how much I loved the Beauty and the Beast promos, and how the one girl who deserved a date rose didn’t get it. I’m looking at you, Ghost May. Rachel meets Nick in a market wearing a top that manages to be both backless and have a plunging neckline. Her mustard-colored shorts were not my favorite. But she is. Nick buys her an alligator head, a feathery mask, and a few oysters that Rachel hopes will serve as a nice aphrodisiac later on in the date. The magic must have kicked in early. I was baffled by Rachel’s reaction when Nick blew his hot sauce breath into her open mouth. I guess the oysters’ side effect of stimulated desire outranked common sense in this scenario. The ABC Intern drug out some corn hole boards and a lone volleyball. The booze flowed freely, and by the time the fourth hour rolled around, all participants were drunk, tired, and on edge. Vanessa is competitive and a little irritated that she’s on the bad team. Rachel continues to prove that she’s wise by remaining quiet. Raven is too distracted by the fact that she chose to wear a swimsuit bottom that looks like a diaper. Many cry. It’s hometown date week and that means three ladies have the chance to be the future Mrs. 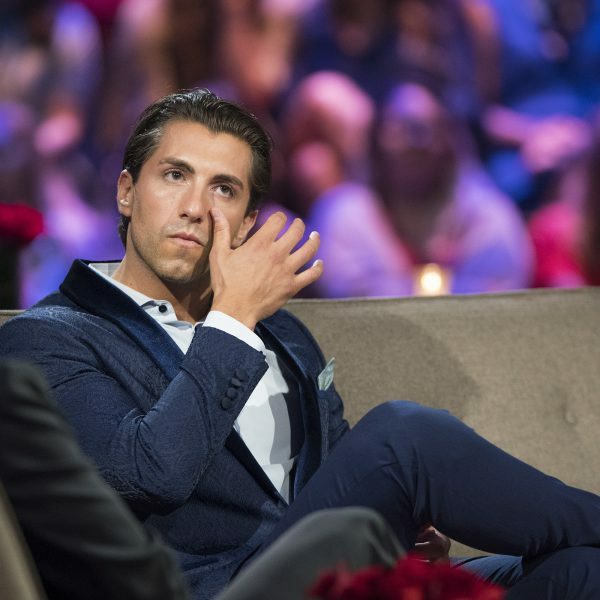 Bachelor Nick, while Season 13 bachelorette Rachel inevitably gets her heart broken in an upcoming episode. Nick understand that Rachel is black, yes, but he also sees many other qualities in a woman he’s incredibly interested in. Plus, their chemistry is undeniable. After a quick rundown on the wonder that is okra, Nick and Rachel have a two-on-two with her sister and the husband. She wants to discuss the elephant in the room — No, it’s not Nick’s tight pants. It’s the fact that he’s white. During time with her daughter, Rachel’s mom tells a story. When she met the Judge, she knew he was the one for her because he was driven, confident, and knew where he was going. Does Nick know where he’s going? PS: The answer can not be Bachelor In Paradise. Or Good Morning America. Raven: I hope Nick’s antibiotic is working. Rachel: Can I repeat cocktail dresses on my season? Corinne: I think I’ll nap after a quick bite. Vanessa: Maybe I can use that scrapbook for kindling in the tundra. Who’s excited for Bachelorette Rachel? How many times do you think she will be serenaded? Do you think the other lawyers will quiz her on legal jargon? And HOORAY for the return of Our Host Chris Harrison! I will take those odds. Chris–I think you can guarantee a drunk in the pool on night one. Maybe a couple of them. And maybe some man tears. I’m looking forward to this season if only for the man drama that OHCH has promised us. There are going to be LOTS of man tears! I KNOW I should’t watch, I don’t even WANT to watch, but alas, my serious FOMO (it is a real thing yall) gets me again. I am sure if I didn’t watch a season of Bachelor/ette my addiction would be cured, but then I would miss out on understanding all your witty references. Can we please talk about the fact the ABC is doing ANOTHER Bach spinoff? Sounds like Bachelor Pad but in the cold. I think we are going to need a weekly blog just to hear your comments on the shenanigans these Bach alums get up to (breakups, arrests, parties, oh my!!) Can’t wait to hear your thoughts on this season!!! I started watching from Season One but I quit watching after Mesnick. I am setting the DVR for this one! I’ve been waiting for someone of this quality and I am excited for the Bachelorette to be a woman in her 30s with a real career. My friends and think older people who have had some life and perhaps marriage experience would make for lively programming. It’s going to be a good season, Betsy. I can feel it! Yaaaaaaaassssssssssss!!!!!!!! I mean, it’s still the bachelor franchise, so it’s still going to be raining pineapple, but I’m still hopeful. 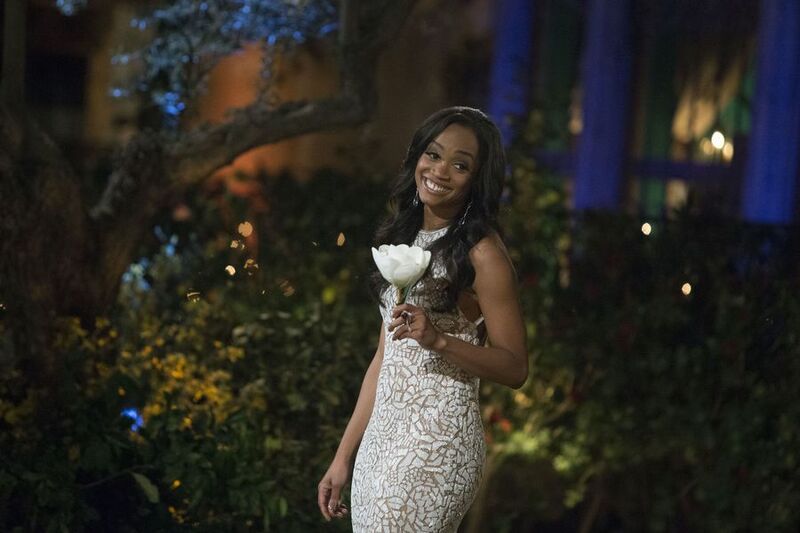 I am so excited for Rachel to be the Bachelorette! I fear for her and her chances based on her prospects (at least on paper). Which is too bad since they all seem to be of reasonable age for once. I stopped watching the franchise years ago (but still read your recaps!) I think I’m going to watch this season though, much to my husband’s chagrin. I must have missed the origins of the “pineapple” joke. Even without knowing, it’s still actually funny. But if I could be filled in, I would be forever grateful! Karen, I’m pretty sure it’s a “safe word” for when things on the show get too awkward / ickily suggestive and you just wish you could make it stop!